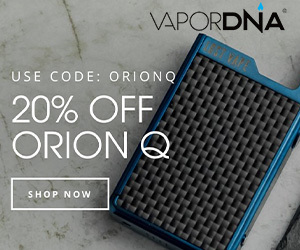 I’ve almost lost count of the amount of products SMOK has released in the last 12 months. But the company is back again with another awesomely unique looking mod called the SMOK MAG 225W – and it’s pretty unusual. The SMOK MAG 225W is a primo piece of vaping gear. It ships with the brand new SMOK TFV12 Prince and, as you can see below, it looks bloody superb. Pictures don’t really do this mod justice though; it is unlike anything else I have tested before. The software the mod runs is the same as what you get on the ProCOLOR and the Majesty, though the physical design is A LOT different. This mod is something else. SMOK has really gone to town with the design and the results are pretty significant. The MAG looks unlike anything else on the market right now. But is it any good? Or is it just another SMOK mod dressed in fancy robes? Let’s find out. First and foremost is the design of the SMOK MAG 225W; it’s unusual to say the least! The entire look, feel, and aesthetic design of the SMOK MAG 225W is based on, I’m guessing, the handle from a gun. The styling is super fresh, like a Vaporesso Nebula on steroids and HGH and a dash of Angel Dust for good measure. I really cannot fault the guys in SMOK’s design department though. Not with this one – I love the way it looks and feels. Thing’s damn near perfect. I mean, just look at it! The fire button is designed to feel like a trigger and the build materials used to construct it scream high-quality. It does feel a bit weird in your pocket at first, especially if you’re used to more normal-shaped mods, but you adapt pretty quickly. I do really appreciate the ergonomics of it, however – it just sits really sweetly in the hand. 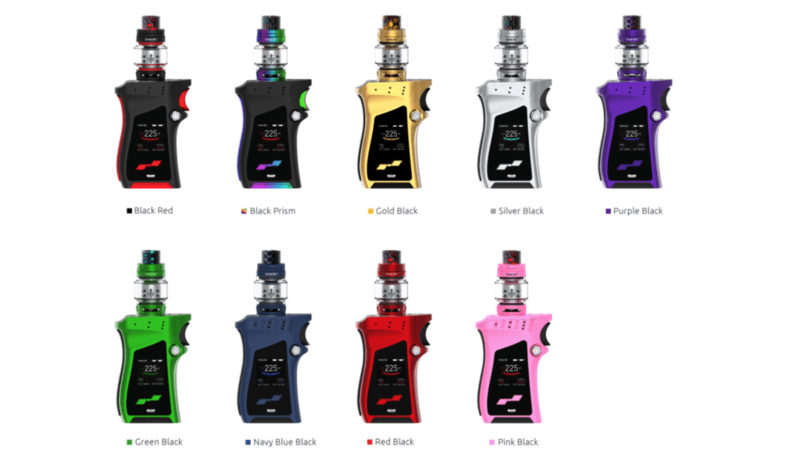 You can pick up the SMOK MAG 225W in the following colour options: Black Red, Black Prism, Gold Black, Silver Black, Purple Black, Green Black, Navy Blue Black, Red Black, Pink Black – so, yeah, you got plenty of options. 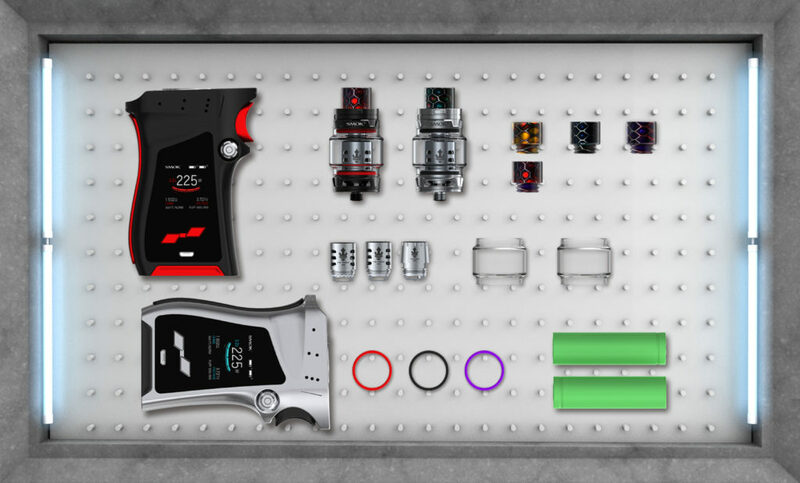 As I said, it ships with the SMOK TFV12 Prince which you can read more about in our detailed breakdown of the tank. If you can’t be bothered to read that, here’s what you can expect: new design, new coils, better airflow, improved chassis. 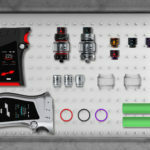 SMOK’s mods, for the most part, are always solid performers. I know of quite a few users that have experienced issues with elements of the Alien. Personally, mine have always been fine. But it is definitely worth going with a retailer that offers returns and warranty. Better to be safe, than sorry. With 225W maximum output under the hood, the SMOK MAG 225W has more than enough power for even the most outlandish builds. I’ve been using it for a few weeks now and, like the Alien 220W and ProColor, it hits incredibly fast and hard. Of course, you’re in control of just HOW hard it hits via SMOK’s preheat feature which lets you assign four styles of output: soft, normal, hard, max. I tend to set it to hard and leave it there when using RDAs, as it just gives that extra little push required at lower resistances. 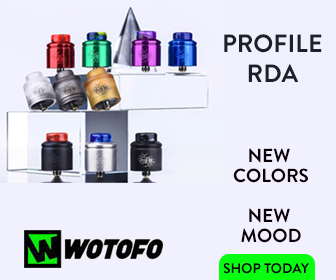 You can get all the usual SMOK bells and whistles too; so, decent TC vaping, if that’s your bag, and respectfully accurate temp and wattage control. I also found the SMOK MAG 225W to be really efficient on my batteries, even at high temperatures, especially when compared to my SMOANT Charon, which guzzles battery life at a seemingly unprecedented rate. The SMOK MAG 225W runs two 18650 cells, and thanks to SMOK’s efficiencies, it will run a solid day and half on a fresh set of cells with moderate to heavy vaping. If you’re interested in what the best 18650 cells are right now, make sure you read our feature on The Best Vape Batteries. I’ve tested A BUNCH of SMOK mods during the past six months. You have the Majesty, the ProCOLOR, the G-Priv 2, and that’s just recently, but I do think the SMOK MAG kind of sits by itself, mainly on account of just how good it looks. Design is subjective, however, though I will admit I am a massive fan of the way it looks. Performance is very good too. In the time I’ve been using the SMOK Mag it has not missed a beat. 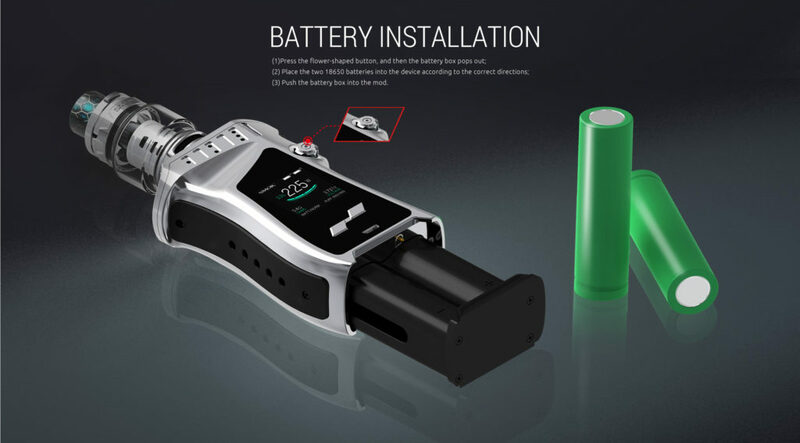 Battery power consumption is decent, and it has enough features buried in its settings to get a really specific style of vaping. If you’re after something a little different, that has plenty of power under the hood, as well as lots of features and vaping modes, the SMOK MAG is definitely worth a look. I have never used a mod that looks anything like this one before, and the more I use it, the more I enjoy it. Sure, it’s weird. But so what? Normal’s boring, anyway!